In sporting events, there’s an old saying “it’s hard to know the players without a scorecard.” That’s also true with growing a potato crop. Your crop’s nutritional status is dynamic and requires constant monitoring to ensure the production of high yielding, high quality potatoes that are demanded in today’s market. Many misapplications occur every season when crop advisors and farmers look at a plant that is off-colored or stunted and say “I think the problem might be…” A nutrition program based on critical growth stages of your potato crop is a good start; however, every season is different and latent deficiencies that are misdiagnosed can cause economic loss despite our best efforts. 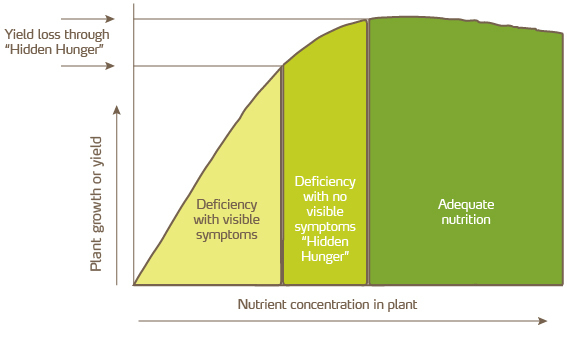 Finally, waiting until we see a nutritional deficiency in a crop is a reactive approach where yield and quality have already been compromised during a time of “Hidden Hunger”. Hidden Hunger occurs when an essential crop nutrient is deficient or trending to be deficient causing yield and quality losses before visible symptoms occur. Soil sampling is a good tool that gives us a snapshot of the nutrients in the soil that may be used by the crop. Weekly petiole sampling is a great tool that tells us what the plant is actually taking up and gives us vital management intelligence to help guide the crop nutrition program throughout the season. Petiole sampling in potatoes should commence at early tuber initiation, taking the youngest fully mature leaf (usually the 4th leaf from the top) and stripping off the leaf blades leaving only the petiole. Samples should be taken weekly at the same location in the field, and because nutrient dynamics change during the day, they should be taken at the same time of day each week to ensure continuity of data. Nutrient sufficiency ranges vary with growth stage, variety, and purpose for which the crop is grown (seed, fresh pack, processing, or starch), so make sure that information is included when you deliver the petiole sample to the laboratory. 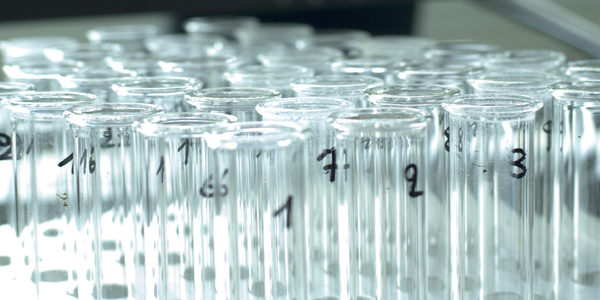 Also, when choosing an analytical laboratory, take into consideration their turnaround time on samples. Nutritional demands of a potato crop are constantly evolving, and if it takes more than a couple days to get your results, you could miss a critical application. Taking the samples and getting the results back in a timely manner are just the first steps; understanding what those numbers mean and how to proceed is the payoff. Yara’s Megalab is the world’s largest privately held plant nutrition database with thousands of data points on potatoes from around the world. These data help produce a potato nutrition plan based on the analysis. Partner labs around North America are tied in with Megalab. When the analysis is complete, the partner lab electronically transfers the numerical data to Megalab which in turn generates recommendations for your potato crop, including YaraVita products (Yara’s foliar nutrition and micronutrient coatings brand). The report is then automatically emailed to the grower and crop advisor adding virtually no extra time to the turnaround for the sample. Yara Megalab can also generate a report to show where a particular farm’s nutritional status compares with other anonymous data points, either locally or from around the world. Implementing the recommendations from Yara Megalab is key to producing top yields of high quality potatoes.